3 x British Mint Stamps Christmas 1978-GB 1979 Direct Elections-1978 Horses Brit. Dispatched with Royal Mail 2nd Class Letter. 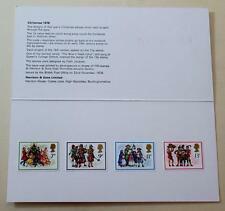 British Post Office Mint Stamps -royal wedding - CHRISTMAS 1978- horses. Dispatched with Royal Mail 2nd Class Letter. 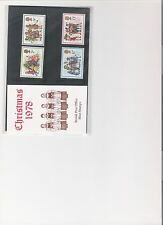 GB 1978 CHRISTMAS HARRISON PRESENTATION PACK MINT STAMPS SG 1071-1072 SEE SCAN #1429 . Date Of Issue:- 22 November 1978. Christmas 1978 Stamps. Decluttering my long forgotten about Stamp collection. 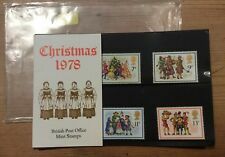 GB 1978 CHRISTMAS PRESENTATION PACK No.104 SG 1071 1074 MINT STAMP SET. #104 SEE SCAN# 104. 1978 CHRISTMAS. ISSUED 22 NOVEMBER 1978. 1978 Royal Mail Commemorative Presentation Packs. Sold separately & as year set. GB 1978 Presentation Pack No.104. Christmas Carol Singers. Christmas Carol Singers. Ordering more than one item?. GB 1978 (22 Nov) Christmas (Carol Singers). 1978(22 Nov) Christmas (Carol Singers). 1073 11p 18th-century Carol Singers. 1074 13p 'The Boar's Head Carol'. 1071 7p Singing Carols round the Christmas Tree. 7p Singing Carols Round the Christmas Tree. 13p The Boars Head Carol. 1978 Christmas - Printed by Harrison & Sons. These cards were limited in number and only issued to select people and Not available to buy by the general public. Very collectable item. I'm also a collector of these cards and would be interested in buying too.